T. Rowe Price has been the latest to announce its Spanish business will be operating under a Luxembourg license from now on as the company ramps up preparations for Brexit. Launched in 2015, the Spanish branch of T. Rowe Price, which has been operating so far under a British license, will now fall under a Luxembourg umbrella in an attempt to avoid market constraints in the event of a no-deal exit. The shift will also affect T. Rowe Price's branches in Denmark, Germany, Italy, the Netherlands and Sweden, which will also transfer from the UK entity TRPIL to the Luxembourg one TRPSARL on 1 of March 2019. "The move is not expected to have any impact on the day-to-day management of the business in Spain or any of the countries mentioned above," a spokesperson for the company said. The announcement comes a few days after the US manager Capital Group also said its Spanish office would start operating under a Luxembourg license, also as a preventive measure in the event of an abrupt exit. Other companies have chosen Ireland for EU sales operations, making the country alongside Luxembourg the two winners making more gains from the UK losses. 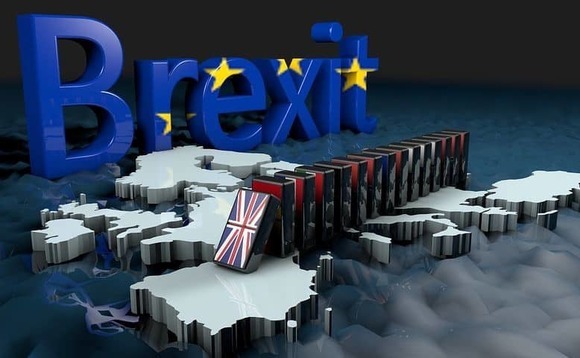 Earlier this month UK asset manager Hermes Investment Management set up an Irish subsidiary preparing also for the worst Brexit's outcome of a no-deal exit. This had followed investment firm Pantheon's decision to establish a five-strong team in Dublin. Other well-known City names to make the leap to Dublin include Legal & General Investment Management, Barings and Ashmore. Last May, Columbia Threadneedle Investments announced it would be transferring assets from UK-domiciled funds to its Luxembourg range ahead of Brexit too. In the meantime, UK Parliament has given Theresa May around two weeks to save her Brexit deal as she pledged to return to Brussels in a bid to demand changes to the Irish backstop. However, the EU has repeatedly expressed its rejection to reopen the deal.